Bruce Graham began his career as a playwright at the Philadelphia Festival Theatre for New Plays (PFT) in 1984 with Burkie. Graham became playwright-in-residence at PFT and later served two years as Artistic Director. He has received grants from the Pew Foundation, the Rockefeller Foundation, and was a past winner of the Princess Grace Foundation Statuette. He won the Rosenthal Prize for Coyote On A Fence. He has won consecutive Barrymore Awards for Best New Play (Something Intangible and Any Given Monday) and Chicago’s Jefferson Award for The Outgoing Tide. He is the first American playwright to be invited two years in a row to the Galway Arts Festival, which produced The Outgoing Tide and Stella and Lou. An ex-high school teacher, Graham still teaches playwriting and film courses at Drexel University. In the past he has taught graduate level playwriting at University of Pennsylvania, Villanova University and Rutgers. He has conducted playwriting workshops in high schools and colleges across the country. His textbook, The Collaborative Playwright, A Practical Guide to Getting Your Play Written (co-written with Michele Volansky) is published by Heinemann. He is a graduate of Indiana University of Pennsylvania, and teaches film and theatre courses at Drexel University and lives in South Philly and Elkton, Maryland, with his wife, Stephanie, and a beagle named Truman. 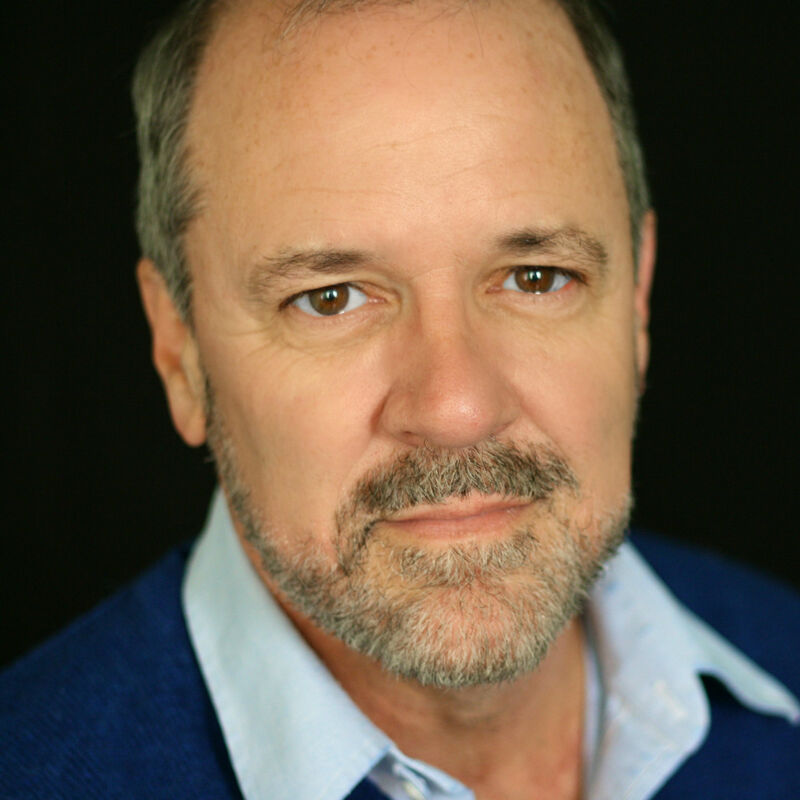 His plays include: Burkie (PFT, Hudson Guild , Cincinnati Playhouse, Interact Theatre,Theatre Exile. Published: Dramatists Play Service); Early One Evening At The Rainbow Bar & Grille (PFT, WPA, Florida Stage, Palm Beach Dramaworks, Royal Flemish Theatre. Published: Samuel French); (Minor Demons: (PFT, Long Wharf, Century Theatre, Company of Angels, Arizona State Theatre. Published: Dramatists Play Service); Moon Over The Brewery (PFT, Circle Theatre, Foundation Theatre, Milwaukee Chamber Theater. Published: Dramatics Magazine, DPS); Belmont Avenue Social Club (PFT, Working Theatre Group (NY), Northlight Theatre, Stamford Theatre Works, Theatre Exile, Pittsburgh Public Theatre, Capital Rep, Two Roads Theatre. FOUR JEFFERSON AWARD NOMINATIONS including Best Production. Published: DPS); The Champagne Charlie Stakes (PFT, Georgetown Theatre, Foundation Theatre Published: DPS); Desperate Affection (PFT, Access Theater, Circle Theatre, Open Stages. Published: DPS); Coyote on a Fence: Cincinnati Playhouse, Arden Theatre, Urban Stages/Blue Heron Theatre, Shattered Globe, Curious Theater Company, Duchess Theatre (London’s West End, starring Ben Cross) WINNER: Rosenthal Prize Nominated for two DRAMA DESK awards, four JEFFERSON AWARDS NOMINATIONS (winner, best supporting actor) four BARRYMORE AWARDS. Published: DPS); A Christmas Carol – adapted from Charles Dickens for Mum Puppet Theatre; According to Goldman (Philadelphia Theatre Company – Three BARRYMORE NOMINATIONS including “Best New Play.” Florida Stage, Circle Theatre. Published: DPS) The Philly Fan (Theatre Exile, Kimmel Center, Arden Theatre, Media Theatre, People’s Light – BARRYMORE NOMINATION, Best New Play – 12th revival 9/10); Dex and Julie Sittin’ In A Tree (Arden Theatre, Circle Theatre (Pew Foundation Grant Recipient) Three BARRYMORE NOMINATIONS including “Best New Play.”); Full Figured, Loves to Dance (one act) (Commissioned by Theatre Exile); Something Intangible (Arden Theatre, Circle Theatre, Firehouse Theatre. WINNER of the EDGERTON FOUNDATION AWARD and one of four plays nationwide nominated for the LAURIE AWARD. Nominated for the Steinberg New Play Award and WINNER of seven 2009 Barrymore Awards including “Best New Play” and “Best Production.” Published: DPS. ); Any Given Monday (Theatre Exile, Act II Playhouse, Off-Broadway at 59e59th. WINNER 2010 Barrymore Award “Best New Play.” Published: DPS); The Outgoing Tide (Commissioned by Northlight Theatre. Winner of the EDGERTON FOUNDATION AWARD FOR NEW PLAYS. WINNER: 2011 JEFF AWARDS: BEST NEW PLAY Published: DPS. ); Mr. Hart and Mr. Brown -(People’s Light and Theatre); North of the Boulevard (Theatre Exile); Stella and Lou (Commissioned by Northlight Theatre).